Something strange is happening in the Hindi general entertainment channel (GEC) space. Until about nine months ago, at prime time, characters such as Tulsi and Mihr (of Star Plus’ long-running and best-selling soap Kyunki Saas Bhi Kabhi Bahu Thi) and Naitik and Akshara (of another long-running daily on Star, Yeh Rishta Kya Kehlata Hai) epitomized eternal love. Their romance was confined to the four walls of their homes, with about a dozen in-laws and at least a handful of children watching over their every move. Then came Anandi (Balika Vadhu, Colors), who had no choice in the boy she would marry. She and other young heroines instead fell in love with the mother, father and grandparents-in-law. In this rechristened genre, which some say is midwifed by Ekta Kapoor of Balaji Telefilms, the romance and relationship between a man and woman are taking precedence over kitchen politics between mother-in-law, daughter-in-law and sisters-in-law. “I get at least five calls a day to write a ‘different’ love story," laughs Venita Coelho, a scriptwriter who is currently working on Na Bole... and has authored Writing and Surviving Television in India. “I chose to go with this one because this is a story about a widow and a confirmed bachelor falling in love, and one in which the woman has children from her previous marriage. Now there’s a chance at showing some real love and freshness in a story." The credit for being the true game changer goes to Bade Achhe...—a “mature love story" in which two older characters decide to get married for their family’s sake and then start falling in love. And to a lesser extent, Iss Pyaar..., a romantic tale of an arrogant young businessman and a small-town girl with middle-class moral values. In the 22-28 January week, Khushi and Arnav’s now-on, mostly-off romance reached a new peak, with the two leads managing to plant a peck on each other’s cheek. While thousands of fans dissected every angle of the twin kisses, the show went from its ninth position (3.7 television points) in the first week of January to No. 5 (4.6) in the week from 22-28 January, according to TAM Media Research. News of their possible wedding took the show to No. 4 in the 29 January-4 February week. He believes the TV audience is now ready for more realistic stories which are not centred around the kitchen. “There is a slight change in what audiences want and yes, the relationship between a man and a woman is taking precedence. Channels, production houses are looking for new ways to tell stories and yes, perhaps love stories are the new formula. The time to churn out permutations and combinations of the same old family dramas is gone," he adds. Dr Ashutosh (Mohnish Bahl) of Kuch To Log Kahenge. 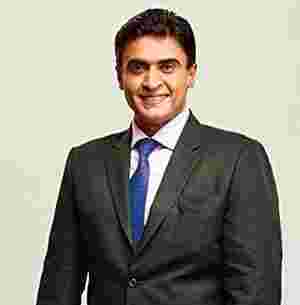 “In these newer soaps, with characters such as Mohnish’s (Mohnish Bahl) Dr Ashutosh, there is a great sense of identification: His discomfort with the idea of public display of affection, his remorse at falling in love with a younger girl and his inability initially to acknowledge that love, all worked well for the show," Shahi says. In fact, that is what works in Bade Achhe.. too—the way Ram’s point of view is explored, and how it is not linked to his stepmom or dadi’s all the time. Both Chadha and Shahi believe that today’s older generation of women, the safe audience that makes an appointment to watch their shows, is now more open to stories of real relationships between a man and a woman and less than ideal, totally pristine characters. In Bade Achhe... the male lead Ram is known to grapple with weight issues; in Iss Pyaar... Arnav believes in live-in relationships rather than marriages; and in Kuch To... Dr Ashutosh does not mind weeping while female lead Nidhi is aggressive and expressive of her feelings. “Imperfection of male and female characters and their situations is what makes these love stories interesting," says Shahi. Chadha admits that this acceptance comes with a caveat. “We cannot make a love story with a lead pair in isolation. No soap can sustain constant lovey-dovey scenes all through. The characters need to grow organically. If everything is concentrated on their love and interactions, then how can this happen? There has to be conflict in any story and especially in a love story between the boy and girl, and characters like dadi, bhua, mami, sister, the brother-in-law, in our case, provide these openings," he says. The dadi, nani, bhua angle cannot be done away with completely—after all, these people form a chunk of the daily viewership numbers. Moreover, tertiary characters help to highlight, and in some cases do away with, generation-gap issues. A point that Coelho agrees with. “There is no point in comparing a romantic movie which finishes in two-and-a-half hours with a daily soap which is roughly about 10 hours of programming every month. Saying a serial is deemed a love story only if the focus is solely on the lead pair 24x7 is just not possible. Some amount of family drama is necessary." Nitin Vaidya, business head, Hindi channels, Star India, adds: “No story, love story or otherwise, can compromise on one basic premise: that the entire family can watch the story together." That’s why, Shahi says, he shies away from overt physical intimacy in any of his shows. “There is a certain contradiction in the fact that people don’t mind watching Chikni Chamelis in their living rooms, but when it comes to TV shows, they prefer a certain amount of restrictive behaviour." Perhaps that’s why in Iss Pyaar... its Mills-and-Boonish hero Arnav ends up ending his live-in relationship with girlfriend Lavanya and shows his intent of love for Khushi not through the usual hug or lip-lock, but a tame peck on the cheek. • Casting: You have to get the right male and female lead. The audience has to be able to feel the attraction between them, some kind of sexual tension. They must look at the duo and say, “Oooh, they look so good together." • Opposites attract: The male and female lead have to be as different from each other as possible. That is the only way sparks will fly. • Keep them apart: The leads cannot be friends or lovey-dovey from Day 1. Sure, the audience wants them to be together and married but what really works for a love story is when they are not together and the audiencestays curious about how they will become a couple. • The point of view: The story should mostly follow the girl’s point of view. • Hero: He has to have a larger-than-life quality; the ability to do what no ordinary man can or would do. • Sacrifice: A key element. One of the two lead characters must have the capability to sacrifice something dear to them at some point in the show. • Focus: Even while the parallel leads or secondary characters are given screen time, they must somehow allude to or discuss the main leads in either a positive or negative way. In love stories, everything is about the protagonists. • Screen space: Do not take the leads away from the screen for too long. • Believe in it: As a director, I have to believe in the story completely and be convinced about every aspect. But I cannot write or build the story in accordance with what the audience wants. That is a complete no-no.